The pictures certainly don't do this justice, but one thing is for sure – this Hanimex HRC 5020 8-track audio system looks like a retro bargain. 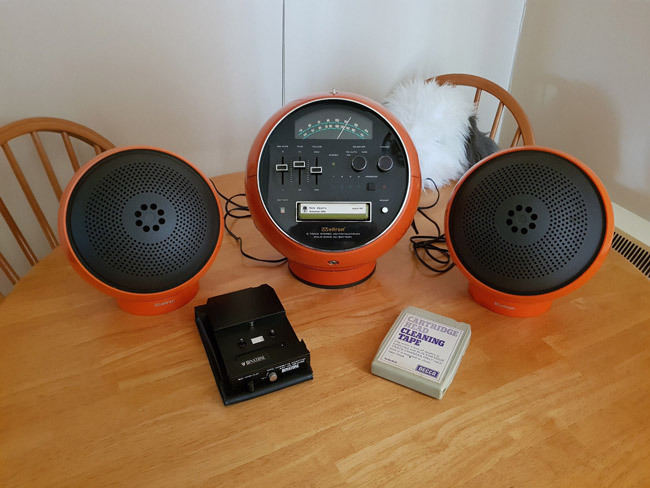 Dating back to the 70s (as you've probably guessed after seeing the presence of the 8-track slot), the Japanese-made system also offers an AM/FM radio receiver, an old school (flip numbers) digital clock with buzzer alarm and two matching separate speakers. A touch of stylish space age design without the big price tag – it's currently on eBay for just £9.99.